When manufacturer finished production, the next thing you need to consider is how to send your products from China to Amazon FBA warehouses. You may have a lot of questions like “how to ship from China?”, “what is the cheapest method?”, ”how to do custom clearance?”, or more. I found there are alot of blog articles introducing how to apply Amazon shipping labels, but no one shared practical information like pros & cons of different shipping methods, shipping time, or how to find someone to help you arrange the shipping. That’s why I wrote this article, to help you understand the whole process for shipping from manufacturers in China to all the way to Amazon. Even you don’t have any products need to ship yet, even you are new to Amazon selling. You can still benefit from this article, such like how to estimate the shipping cost for sea or air shipping, as shipping cost is a key point to decide if a product is profitable to sell in Amazon or not. As this article includes so many information, so I divide it into 6 chapters. You can click the title of each chapter, and you will be navigated to related content. Hope all these information help you. The main thing in adopting a good strategy is to take control over the Amazon FBA inventory and do a proper listing of stabilized sales volume. The non-defective products needs to be delivered to the FBA warehouse on time. The goods will be directly shipped from your suppliers in China to Amazon FBA. 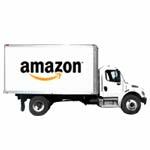 The goods will first be sent to your home and then transported to the Amazon warehouse. 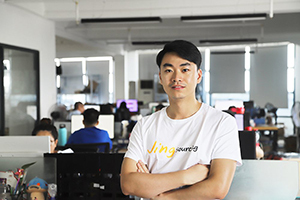 The goods are shipped from China to a third-party company that prepares for shipping to Amazon FBA. They check the goods for you and then transport them to the Amazon warehouse. The best method which I would suggest you is that you should ship from China straight to Amazon FBA. This method is cheaper than the other two methods because either first to your home or third-party company will require a cost for storing them, inspecting them and again arranging delivery to Amazon. Express or air is very expensive. If you use express or air, then it’s better to ship from China directly to Amazon FBA. because express fees are same all over the US. This fee will be increased if you first ship it to your own home or third- party company because of the extra charges for domestic shipping from your home to Amazon. If your products are shipped by sea freight, then it will be ok to consider other solutions. Amazon has a strict quality requirement related to products. So, if you ship to your own home first, then the greatest benefit you will get is that you can see and touch the products you have purchased from China. If too many customers give a bad review about the product, then your listing will be closed immediately. So, that will be a plus point of this method because the products with bad quality won’t be delivered to the customers. In addition, if you find any quality problems in products then you can fix it with your family in the first time. If you use solution 3, then the labor cost of the third-party company is very expensive and sometimes they do not have the proper resources to help you fix the problems. If you consider to ship it via China to your home, then it would be better that your home is near main ports of US. For example, living close to Los Angeles, at that point it will regard considering, else you should spend a great deal of additional transportation costs from the port to your home, and home to Amazon FBA warehouse. Sometimes the extra shipping cost is way more than the product’s profit. For example: Amazon gives you warehouse in California. So, if your home is in Houston, your goods from China will be shipped to Houston first, and then you must ship to California once more, so in this way you have spent two times of the shipping cost. On the west coast of the US, especially California, there are many such companies which act a third-party company. These companies help Amazon sellers ship their goods from China to Los Angeles. They also provide services for checking the label of the goods and help the customer label the products and box. At the end, they help Amazon sellers ship to Amazon warehouses which are at different places in US. Most Chinese suppliers put the FNSKU (Amazon product identifier label) on products. So, in this way third-party company won’t have to do the labelling process and cost will be reduced. In our experience, if the Amazon warehouse and these companies are in the same state, the total shipping cost of this solution may be lower than shipping from China directly to Amazon FBA. However, if the warehouse is arranged in other states, the total shipping cost is high. Because the domestic shipping cost is more expensive than the sea freight costs from China to US. For example, if your warehouse is in New Jersey, a third-party company have to help you transport to New Jersey from Los Angeles by train or truck. You can really feel how huge it will cost. In this case, if you can’t find such a third company near New Jersey, then shipping from China to New Jersey directly would be more cheap. The transportation time, the cost and the transport complexity under each of the method is completely different. It is therefore advisable that before choosing any method, do your research appropriately based on the budget of imported products and the time schedule. Each of these methods is described in details so that you can gain comprehensive knowledge of each and make the right decision. Express is the most convenient and the easiest method of transportation if the product for importation is a small batch of goods (less than 1,000lb). The entire process is operated by a courier company, meaning that you don’t need separate custom broker. The benefit of using Express is that you do not need to worry about any related customs issues, all you are needed to do is track your cargo info online. For our clients, we generally recommend FedEx and UPS as they are American companies and have a wide delivery network in the U.S. More to that, what makes these two companies exceptional is the fact that they are professional in the way they handle Custom Clearance. DHL on the other hand is a German Company which is better established and preferable for importers shipping products to Europe. Nonetheless, most people choose DHL over FedEx and UPS because it is much cheaper. However, the shipping is often delayed. Assuming that you chose FedEx or UPS as your Express Company, you don’t need to contact the company yourself. All you need is to consult with the Chinese Supplier about the shipping and delivery cost of goods into the Amazon warehouse. Basically, you’ll pay the supplier and they will organize how the product gets delivered to you. This is a typical way of how shipping costs are charged by the Express Companies. Essentially, when sending your product through Express or even Air freight, the shipping company charges you based on the dimensional weight or the products real weight, whichever is more. Assuming that your product is light weight but occupy a very large space, it would be impractical for the shipping company to charge the real weight of the product. The result gives you the Dimensional Weight used by the Express Company. Take an example of a baby’s bottle, which is super light, in fact, its real weight is 100g but its dimensional weight is just about 150g. If you want to ship 1,000pcs from China to Amazon FBA, the courier company will charge you using the dimensional weight which is 150kg rather than the real weight of 100kg. Note: You can easily find the dimensional weight of a product using the measurement of the box. Delivery cost is something that intrigues most people but the simple truth is that it is not a constant value. Usually FedEX price is $6-$7 per kg ,and people can use this number for roughly calculating the express fee for sending FBA inventory to Amazon from China. This information will be very helpful for importers to decide if a product is worthy and profitable to import. The price is always changing during a year, and there are also prices for low and high seasons. Generally, it’s not allow to ship products that contains batteries, liquid and powder by FedEX or other express companies. But there are a lot of agents that can help you find special way to this regulated products shipping express. The express price is like 50%-100% higher than normal express companies. The cost of shipping from China to United State is the same, it doesn’t matter the place or the state. You may want to consider sea freight if the shipping cost is too high, this in turn significantly reduces the total cost. Tip 1: Paying in China is the much lower than what you pay in the United States. The best way is to ask your supplier in China to quote the Express price, then pay for it, that’s all. You may also have an account with the Express Company, for example UPS account, if you chose to pay directly to the company, you will end up paying more than you would have paid the supplier, directly. Tip 2: For any cargo less than $800, there is no import duty imposed on the product. Supposing you purchased some goods from a Chinese supplier, it is advisable to communicate to your supplier in advance, to declare you a value less than $800. If you purchase large quantities of goods ($3,000+) you can tell the supplier to split the cargo into several shipments and declare the value of each shipment to be less than $800. For a fast and suitable means of cargo shipping, Express is the best option you have, especially with Amazon Emergency Replenishment. In addition, it is free of reservation when access to Amazon Warehouses. FedEX has 2 kinds delivery services. FedEX IP (International Priority) and FedEX IE (International Economy). IE takes 4-5 working days, and IP 2-3 working days. But most people won’t use IP because it’s more expensive than IE. They will consider FedEX IP only in emergency. Sea Freight is one of the most complicated methods of transportation for import and export. Although it takes a long time to transport and the customs procedures complicated, it is still one of the main way of import and export. This is largely due to its low cost of transportation and can accommodate large volume of cargo. From the Supplier’s warehouse to port. From the port in China to the U.S. Port. From the port in U.S. to your Amazon address or home. The whole process is operated by two forwarders, one in China and the other in America. They have to collaborate to handle the export/import process, they are also very much involved in the Sea and Land operations. Find a good FBA freight forwarder, who are dedicate for shipping from China to USA, for long term relationship will be very recommended. They can always offer you the all included shipping cost to any Amazon warehouses in different states. Even though you can find freight forwarder based in China and US, but I recommend you to use the one based in US. Because there’s no time zone difference between your communication. In this case, you need the Chinese product supplier offer you FOB price or ExW price, depending if your freight forwarder arrange shipping from sea port in China or supplier’s warehouse. If you can’t find a good FBA freight forwarder that can help you arrange shipping from China to Amazon FBA, please don’t worry, you can still ask your Chinese supplier to help you find company for arranging shipping to Amazon. If your Chinese supplier has sold to Amazon sellers and shipped to Amazon FBA before, they probably have good resource of Amazon freight forwarders. But just make sure, the shipping cost they quote you is the all included cost, instead of only shipping to the sea port of US. Amazon does not act as an overseas customs clearance contact and is not responsible for providing any customs clearance and delivery support. Therefore, sellers need to arrange the customs clearance of the goods at home and abroad. So the customs clearance ability of freight forwarder is very important. Once a problem arises in customs clearance, your goods are likely to be detained by customs. That is why we have to emphasize the importance of having a good Amazon freight forwarder. There are a lot of import and export processes involved in sea freight making it one of the most complicated shipping method. Therefore, to avoid much delays, we suggest finding a FBA freight forwarder who will help you in handling all the shipping and custom clearance. More importantly, you need to note that if your Amazon warehouse is in the Western United States, the shipping costs will be much lower, if the warehouses are in the East, the cost is higher. There’s another thing you need to pay attention when using sea freight shipping. For all included shipping service, freight forwarders will have 2-3 CBM minimum shipping capacity. Because there are lots fixed charges for import and export process, no matter how much CBM cargo you ship. So make sure you have at least 2 CBM cargo to ship by sea, or need to pay the minimum shipment charge. 3. Shipping time from china to US by sea freight. Sea freight is cheap, but has a longer shipping time than express and air freight. More so, there are many factors (before and after the festival, clearance is relatively slow) and force majeure (seasonal behaviors, labor issues at ports) affect the shipping time. Generally, it takes around 30 days from the port of China to Amazon warehouses in the west coast of the United States. Or 40 days from the port of China to the warehouses in the east of US. If you want to ship products from China to Amazon FBA before Christmas, make sure that your products is shipped out China before the end of Oct. Or you will have very high chance to loss the best opportunity that start selling on Amazon before Christmas. Because there are also a long queue of products shipping to Amazon FBA during that period. The US customs has more work on inspection. It’s very normal to have 2 weeks delay because of custom or waiting to ship to Amazon. If your goods have exceed 1,000lb, you can use air freight. It’s not as convenient as express, because the goods have to go through customs and you don’t have a company which will manage the whole process for you. Like sea freight, you will need to hire a professional freight forwarder to handle all the customs procedures. It’s crucial to find a right freight forwarder, otherwise you might be involved in endless troubles. Also, remember to confirm with your freight forwarder clearly that the price quote should be inclusive if all the necessary charges. This is very important if you don’t want to pay time after time. For instance, you pay the price of $4 per Kilogram, but after you’re informed that the quote is only part of it. You have to pay the fees for home/warehouse delivery and import & export costs as well. I have to say it’s very frustrating, especially for new importers. But it happens if you didn’t pay enough attention. The biggest difference between these two formula is that air freight has less dimensional weight if you ship light weight but big size cargo. Example: 3CBM cargo means 500kg dimensional weight for air freight, but 600kg for express. You will be only facing to choice either express or air freight when your cargo is around 1,000lb. Air freight cost almost the same shipping time as express, sometimes air freight will a few days take longer but it all depends on which flight did your freight forwarder has chosen. The costs of air freight often fluctuate during a year, and exchange rates between USD and CNY are changing all the time as well. It makes it rather harder to estimate an accurate costs for air freight, so what we can do is to teach you how to make a rough estimation. The unit price of air freight can be very confusing as there are lots of costs involved in it. You have to consider the import and export fees in both China and USA, the land transportation fees in both China and USA. and possible communications, to name a few. So if you asked Chinese supplier to find a freight forwarder, you have to ask for quote of all included costs. However, only a few Chinese suppliers will send goods by air freight to USA frequently, thus they can’t provide “delivery to door” service. Or they could only help you arrange shipment to the airport of USA. That’s why I always suggest you to find a long-term and professional freight fordwer. I could tell you that if you want to ship goods less than 1,000lb, then you could choose express instead of air freight. When you need to ship goods more than 1,000lb, then choose air freight will cost you less, but it won’t be too much. So you could use FedEx freight for reference when you want to calculate the costs of air freight. In practice, we cooperate with freight forwarder who suggests using 20-30% of the product’s price in the United States to declare the Customs Value. It means if you calculate import duty on your products; consider the 20-30% of the product’s retail price on Amazon. Then, multiply it by the tariff rate to estimate the tariff you’ve to pay. It’s impossible for the Customs Authority to open each your box to check manually the type of product you’re importing to the U.S. They don’t have that much time or energy. So, there is the HS Code – Harmonized Commodity Description and Coding System or Harmonized System. The HS Code is an internationally standardized system of names and numbers used to classify traded commodities. The Customs value may be same, but the HS code or goods category is different, which leads to different customs duty. So make sure the HS Code in your invoice is correct. Otherwise, you may end up paying wrong customs duty. You can check your HS code on the official website. Some of my clients ask me how the tariff is calculated. Generally, our freight forwarders calculate a tariff for you. They will look up the customs duty rate and HS Code of US for you, so you don’t need to calculate tariff yourself. But, this tariff is only for your reference. The actual tariff will be based on the actual tax bill. How to Pay the Import Duty for Sea Freight & Air Freight? New importers usually ask one common question – Whom the Import Duties are paid to – their suppliers or a customs authority? 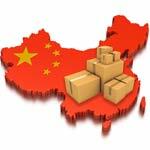 If your Chinese supplier can help you arrange shipping from China all the way to Amazon FBA, which means the cargo will deliver to your door. You just pay custom duty to your Chinese supplier. Because the freight forwarder they found will offer the all-included shipping service. But not many Chinese suppliers can help you find an all-included shipping service freight forwarder, because most Chinese suppliers have clients around the world. They don’t have lots of good resources for shipping to the U.S. In this case, you need to find an American freight forwarder, and ask them to help you ship products from China all the way to your home. And of course, you pay custom to them. I suggest finding your own freight forwarder for long-term relationship. Because not every Chinese supplier can help you find all-included sea freight or air freight shipping service to the USA. Leave the complicated custom clearance to the professional, no matter it’s the freight forwarder found by your suppliers or yourselves. Better don’t do it by your own. When the good arrive at the U.S. post, the customs will check your invoice and tell you how much customs duty you have to pay. Sometime, you may have to pay a tariff before the goods arrive at the port. If you have customs credit, you can take the good away in advance and pay the customs duty later into the customs’ bank account directly. How to Pay Import Duty for Shipping by Express? If you opt for Express to ship or import goods from China to Amazon FBA, you should ask your Chinese supplier to help you contact FedEx or UPS branch office in China. Or ask your supplier help you find some express agency companies, who always get lower express fee from different international express companies. Chinese suppliers will send you the price quote from different courier companies, and you can choose the best one. In this way, you only pay the cost of delivery to your Chinese supplier. If your shipment is valued at $800 or less, no tariff is applicable. Shipments valued under $800 are exempted from the tariff. But if your shipment is valued higher than $800, you may need to pay a very small duty. Don’t worry about the duty. Express company, like FedEx, will send the duty bill to the consigner or Chinese supplier and they will pay the bill. The Express company will handle the entire process on your behalf. Once your goods arrive in the United States from China, they are much closer to the Amazon Warehouse. At this moment, you will encounter Customs clearance, the most important and complex stage in the whole process. How to do Custom Clearance in the USA? Customs clearance procedures are complicated, and a single mistake can delay your shipment. So, I recommend finding custom brokers, some American freight forwarder or a logistics company that can help you clear customs legally and professionally. 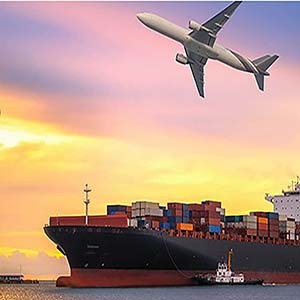 Outsourcing the trivial process of customs clearance saves you not only money but also your time and energy that you can invest in your core business activities. Before you decide what products to import from China, choose the right company that can help you with customs clearance and ship your products from China to the Amazon FBA. Why outsource custom clearance to a customs broker, logistic company or American freight forwarder? If you encounter an issue with access to customs, you can reach the freight forwarder directly, instead of asking your Chinese supplier. Suppliers export their goods to many countries. They don’t have a clear idea of the customs clearance procedures of specific countries like the U.S. Moreover; they are not much professional in terms of certifications. So, don’t solely rely on the information provided by your supplier. Case Study: One of my clients, Michael, shared his experience with me. Before purchasing with us, Michael purchased a batch of electrical toys from a supplier in Yiwu. Since it was his first time to import electrical toys, Michael asked the supplier if he has any relevant certificate. The supplier told him that he has the certificate. Things seemed to progress smoothly to Michael. But when the goods arrive at customs in the U.S., the customs authority told him the certificate of goods is for importing to Europe only, not the USA. Suppliers just didn’t understand compliance certifications for different countries. In this case, only freight forwarder or custom broker know, and also testing labs know. The complexity of customs clearance varies from product to product. For instance, liquids, counterfeit products and powders have to go through a difficult customs clearance process. Freight forwarders are generally reluctant to pick such sensitive products. Even if they are imported to the United States from China, local market supervises them. So make sure you understand the level of complexity involved in the products you want to import from China to the U.S. This product is made up of glass outside and contains a mixed liquid of distilled water, alcohol, ammonium chloride, potassium nitrate and camphor, inside. My client liked it so much. And this product is hot selling in Amazon. But for shipping from China to Amazon FBA, need to take risk in custom clearance. Because it’s a fragile product, containing liquids and chemicals, the clearance process would not be easy to ship it from China to Amazon. If custom inspect your cargo, then maybe they will force this shipment shipping back to China. So, the client gave up the idea. If you have found a good freight forwarder already, you can ship your goods directly after the purchase is completed. It won’t be delayed in China. How to Find a Good Customer Broker or Freight Forwarder for Amazon FBA? Now, the question is how to the right Amazon FBA freight forwarder? Both US freight forwarder and Chinese freight forwarder are good, but the U.S. freight forwarder will be better. The quality of services and level of professionalism vary among freight forwarders. It is important to find a reliable customs broker or freight forwarder who can help clear customs professionally and get back to you in time. Develop long-term cooperation with the freight forwarder you choose. The bad freight forwarder has a poor record of customs, and their shipments are carefully inspected by the customs authority. So, be careful when choosing a freight forwarder. Don’t go for the cheapest one. The cheapest may translate to unprofessional customs clearance and delayed cargo. Don’t worry about the additional special documents. Your freight forwarder or customs broker will guide you on them. You can say customs clearance is a complicated process due to too much documentation. So, make sure the information you provide in various notes throughout the process is correct. Request and prepare the information from your Chinese supplier in advance. Otherwise, you won’t be able to discover the problem until your goods have arrived at the U.S. customs that will delay your customs clearance. 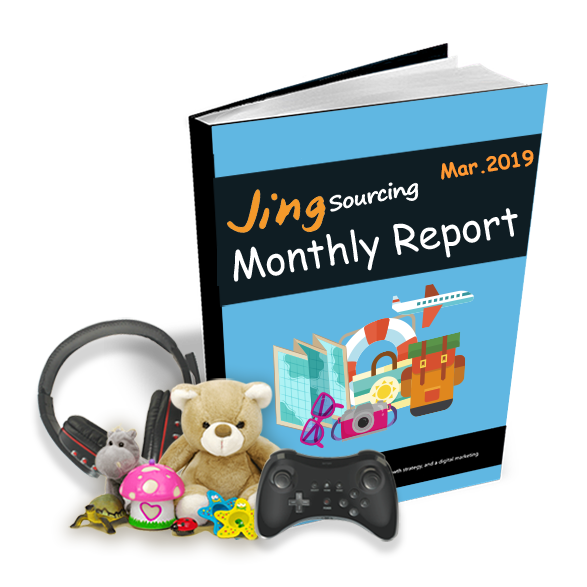 There are many Amazon sellers who choose to import toys, sports, and outdoor products from China only because no certificates are required for these kinds of products. 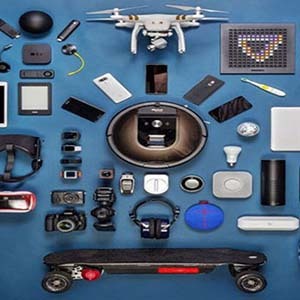 But if you plan on selling the electronic products, toys, or more, many regulations are applicable for importing them. And hence you are required to have the basic yet specific knowledge of the certifications. When it comes to the import of toys, electronics, it is best to have your own certificate as applying your own certificate won’t cost much. But if you want to import costlier products like tablets, hoverboards etc., you need to have a proper compliance certification. Without the certification, neither you won’t be able to import these products from China, nor you will be able sell them on Amazon. 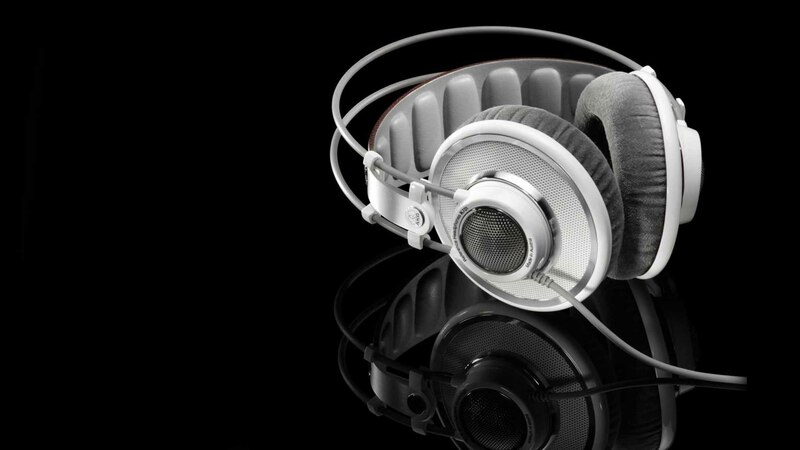 The (CPSC) Consumer Product Safety Commission regulates a wide range of both imported or domestically manufactured in the United States. All the toys that are imported to the United States must comply with the regulations that come under CPSC and Consumer Product Safety Improvement Act (CPSIA). Ensuring compliance is important as non-compliance of the certifications may result in a fine up to the US $15.5 million. 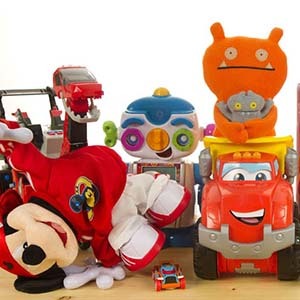 China manufacturers some of the best toys in the world, and retailers with the strong online presence like Amazon and Walmart are simply taking over the toys market. With such a large part of international toy market coming from, it is important that every product follows the compliance regulations. Customs: If you do not apply for the relevant products certificates in time, you will have to face troubles in customs clearance. The customs will not release your goods, and your goods will stuck that can be destroyed or result in quite high warehousing costs. Amazon: If you do not have the certificates that are required by Amazon in advance, it will not allow creating a new listing and will cause the existing ones to shut down. Penalty: You are also liable to pay the penalties in the case, if you don’t have the certificates that are required for the process. Generally, only Amazon and the United States customs will need you to provide the related certificates. But as compared to Amazon, the US customs asks the certifications for more product categories. For example: If you take express such as FedEx, most of the imported products do not require any kind of certification. However, if you make use of the air or sea freight, then your goods will go through a normal customs clearance process and they require you to provide all the relevant certificates. If you only use the certificate for the customs clearance, the supplier certificate will work for every purpose. However, you need to prepare the certificates for the products that are required to be sold on Amazon. But in case, if you are not aware of what kind of certification Amazon requires, you can enquire it by calling Amazon customer care representatives. And, it is best to know all the related certificates before you source the suppliers. But before you get the related certificates, you should know everything about sourcing suppliers. Also, Amazon has various types of test files and certificates because it does not come with a fixed set of rules. What is applied at Amazon today can be changed tomorrow. The best approach is to visit the official site of Amazon and find out the latest rules. During the summers of 2017, the solar eclipse viewers were sold so well that Amazon started to request certifications for sun observation. They did not have this requirement in the beginning, and as a result, a lot of people’s listing was closed until they provided the certifications. The product factory certification may work for the customs clearance in the United States, but it may not work for Amazon; because through the product factory certification; they are only able to get the specific factory name information. In this case, you should ask the factory to help you write a document with your company information, which includes product’s ASIN code, and more with a company’s seal on it. This document is only the proof that the products were purchased from the factory. But still, the Amazon does not approve of this certificate and wants to have your own product certificate. 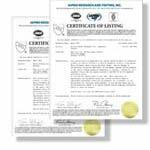 Your own certificate will include product’s ASIN code, your company’s name, and this is one of the best ways to show that your product complies with American standards. Ceramic Tableware FDA and CPSC, Fragile Product Guarantee are also needed. Though the best suggestion is to inquire your freight forwarder or your customs broker who can help you handle customs clearance. When you are preparing yourself to adopt an FBA plan, it seems very easy at the start of this task. But in fact, it is the most important step in shipping from china to Amazon which you cannot ignore. We are currently helping more than 1,000 US Amazon sellers with labeling and checking process. This step is of great importance and will determine your product entry into the Amazon’s warehouse and its sales. I have listened to many complaints from Chinese Amazon sellers. Some occasional bad reviews are only due to mislabeling of the products. If there is any problem with FNSKU, then the customer receives different goods than the goods they place order for. This will ruin your business especially if you are new into selling. If many customers leave bad reviews in your listings for this reason, then Amazon will also close your listings. So, it is very necessary that FNSKU is placed correctly. Your goods will also be rejected if the FBA label is not placed on them. Whenever your goods reached FBA, their label is scanned for identifying them and placing the goods in right place. So, you can see that labeling is a very important process in FBA. Each site on Amazon has different requirements for shipping box size and weights. So, you have to read Amazon’s official documents carefully. If you are having doubts about anything, contact Amazon seller support directly. Now, we are going to tell you about some requirements for boxes measurements for US site. 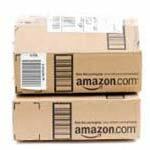 Amazon FBA has strict requirements on the appearance of master boxes. The master box should not be damaged or having any deformation, otherwise it will be rejected. So the master carton should be made of double-walled corrugated. Boxes containing multiple standard-size items must not exceed 25 inch on any side. Boxes must not exceed the standard weight limit of 50 lb, unless they contain one single oversized item that exceeds 50 lb. Boxes containing jewelry or watches must not exceed 40lb. FBA label (Amazon warehouse receives goods according to this label). Shipping Label ( Your freight forwarder will label it). For a single oversized item that exceeds 50 lb, attach a label that clearly indicates Team Lift on the top and sides of the box. For a single oversized item that exceeds 100 lb, attach a label that clearly indicates Mechanical Lift on the top and sides of the box. Manufacturer barcodes (eligible barcodes include GCID, UPC, EAN, JAN, or ISBN). Of course, to ensure the uniqueness of your own products, we recommend you stick Amazon barcodes (FNSKU) on products at appropriate location. Sufficient white space around the Amazon barcode and related text (0.25 inch on the sides and 0.125 inch on the top and bottom). FNSKU and FBA Label are easy, as they are generated by the Amazon system. You just have to download and print it. I wrote this article to show the process of shipping from China to Amazon FBA. It’s also a guide for people who want to do Amazon business by sourcing products from China. So, are there any problems that you are facing in shipping products from China to Amazon FBA? Or is there anything in the article that you don’t understand quite well? Either way, I’d like to hear from you soon. Thus, you can go ahead and leave a comment below. I’ll be around to personally reply to comments and questions that come in. Therefore, feel free to ask about anything concerning shipping from China to Amazon FBA. Very good article learned alot from it. Just have few questions as i am living in Australia and want to start using FBA in USA how is the scenario for me living in a third country and doing business in USA. Also do i need to hire two forwarders one from each country i.e. in china and USA. And if i ask the supplier to take care of everything in the shipping process is it worth it or hiring my own forwarder is better option. @Zhu great article, thanks for posting. I have forwarded this on to my friends. I didn’t know about Tarif charges for air express for goods from China to the UK. My shipment was worth 2.5k at 17kg. My supplier has forwarded me an customs invoice from TNT China for 1.6k, which seems crazy high for this express shipment. Do you have any advice or insights around this high cost and how it could be avoided? I always hear the stories like yours. Thanks for your kind words, William! You’re so right. Also thank you for letting others know about your practical experience. Wow, this blog covers everything aspiring affiliate Amazon sellers would love to know about Amazon FBA. Thankyou for all your information.I am a new Amazon seller I needed it so much.What if the products I order are for white Label or Private Label when and how am I able to take a product picture for my new listings and for launching,If I ship products directly to Amazon FBA?Also,when would be the right time to buy An UPC Code and from where do I buy?Any Tips? 1.Decide what products you want to sell on Amazon. (Open your Amazon account). 2.Sourcing your products from China. 3.Then buy UPC code.At this time, you should take products picture for your listings. 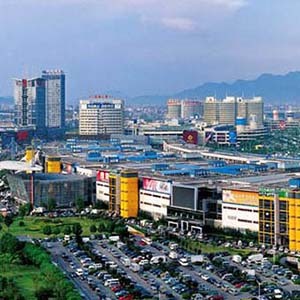 4.Let your Chinese suppliers help you with shipments(30-40days to USA by sea). Great article for people who desire to venture into affiliate marketing. Been searching for such content. Glad I found it and it is well detailed. Quite an informative and well detailed article. Jing, thanks for your informative guide, really cool.